EK-XTOP DDC 3.2 PWM Elite – Plexi (incl. pump) is a High-Performance water cooling pump. The core of the unit is the market-proven EK-DDC 3.2 PWM water pump (4-pin PWM FAN header). 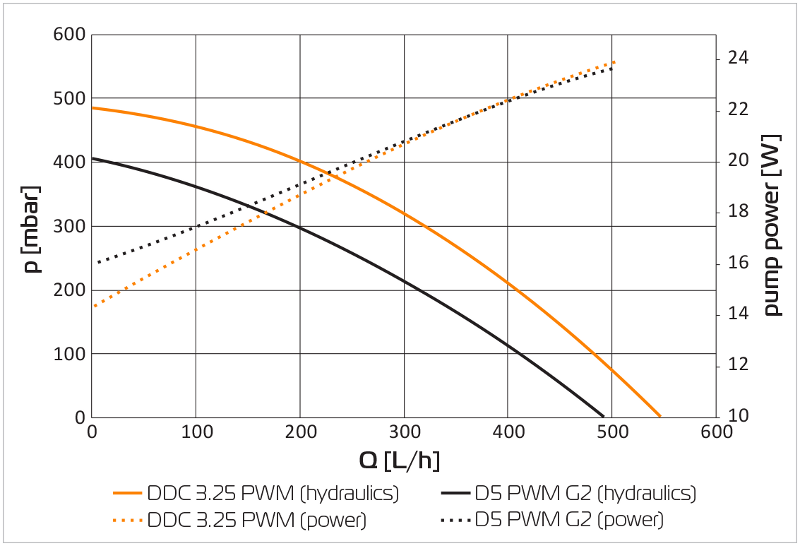 This unit offers increased hydraulic performance (up to 15 %) compared to original factory top. PWM control allows for automatic pump speed regulation depending on your CPU temperature. 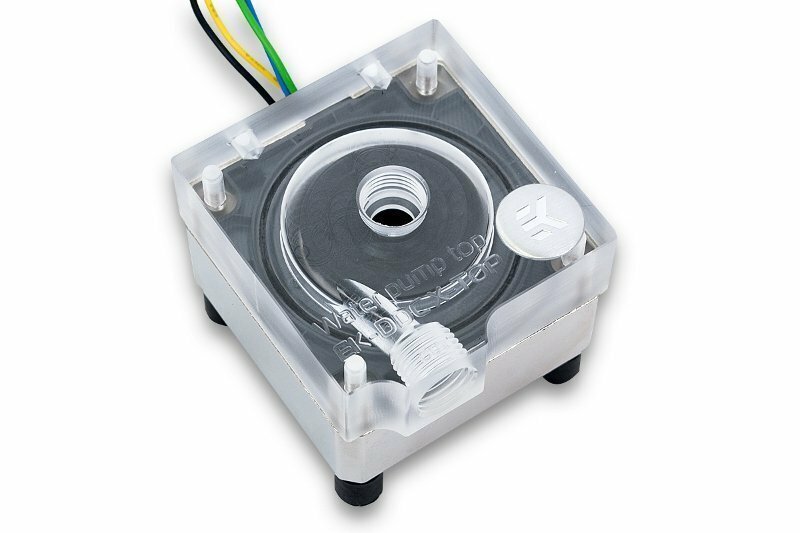 Despite a remarkably small footprint of 2.4″ square, the pump features an astounding 7m of head to provide superior flow rates in today’s most complex liquid cooled systems. 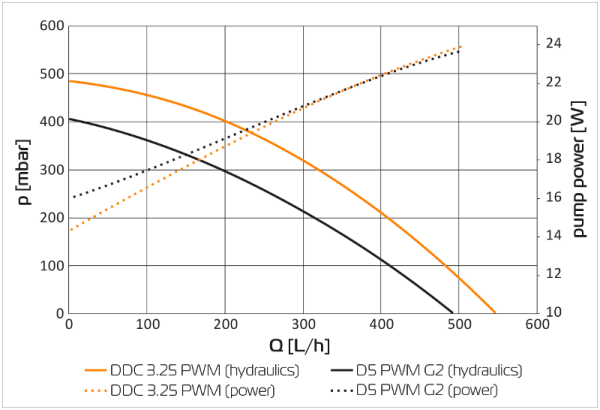 The pump is also a high reliability, high pressure industrial pump, featuring a 50,000 hour MTBF (5 year lifetime). The pump is nested inside the EK-DDC Heatsink Housing. This vastly improves the cooling performance of the motor and electronics and thus prolongs the lifespan of the water pump. Optimal heat transfer is ensured by the use of thermal pad inside the housing. 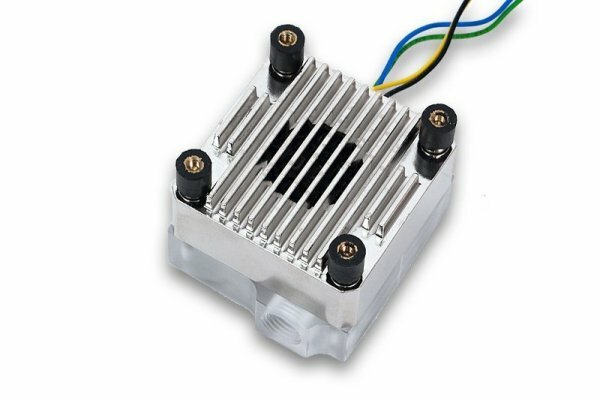 Due to it’s metallic construction and finned design EK-DDC Heatsink Housing amplifies the effect of airflow therefore placing the water pump in front of any fan or radiator will dramatically improve the cooling performance. 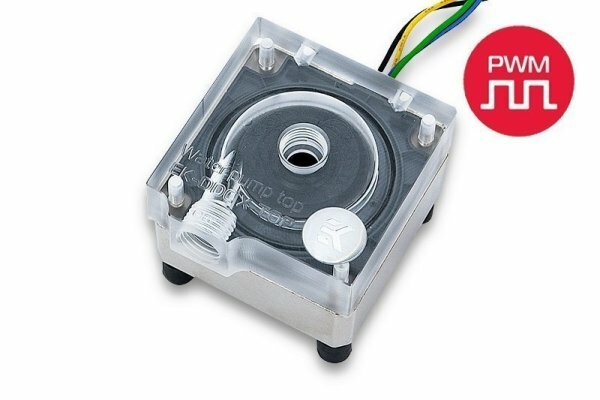 EK-XTOP DDC 3.2 PWM Elite – Plexi can also be upgraded with either EK-UNI Pump Bracket (120mm FAN) – Regular or Vertical which allow installation of the product in any position with 120mm type fan hole pattern Technical Specifications: – Dimensions (W x D x H): 63 x 68 x 55 mm – Motor: Electronically commuted ball bearing motor – Rated voltage: 12 V DC – Power consumption: 18 W – Maximum head pressure: up to 5.2m – Maximum flow rate: up to 1000 L/h – Maximum liquid temperature: 60 °C – Materials: Stainless steel, PPS-GF40, EPDM O-rings, Aluminium oxide, hard coal – Power connector: 4-Pin Molex- and 4-Pin PWM FAN connector – Xylem original model name: DDC-3.25TPPWM4 Enclosed: – EK-XTOP DDC – Plexi – EK-DDC 3.2 PWM 12V DC pump motor – mounting mechanism – installation manual Made in Slovenia – EU!